Jonathan Marballi is an actor, comedian, and improviser living in Los Angeles. He has appeared on House of Cards, Broad City, and Inside Amy Schumer. Jon and I met while rehearsing the play “Manuscripts Don’t Burn” which we performed on Governors Island in Summer 2011. We also collaborated on a strange bit of downtown theater called “Falcore” about wealthy psychos living in the center of the Earth. 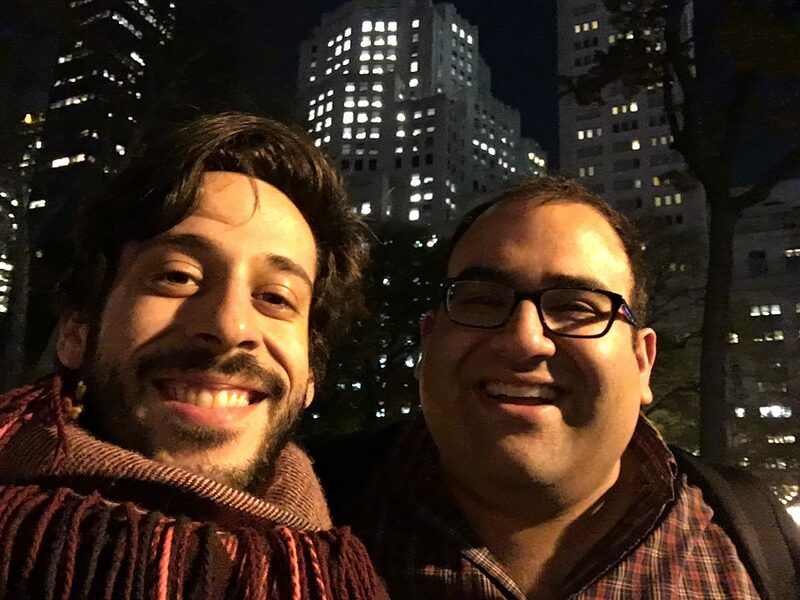 We recorded our episode at Madison Square Park, on November 16, 2016 to laugh off the election, talk about relationships, contemplate coziness, and devise a project for The Cozy Zone Foundation. Jon co-hosts the podcast Mad About Mad About You, an episode-by-episode conversation about the glorious and under appreciated hit NBC sit-com “Mad About You” and the time in which it was made (the 90s! ), hosted by a couple of real Reis-guys. Enjoy this special condensed version of Cozy Zone with Ben Weber.